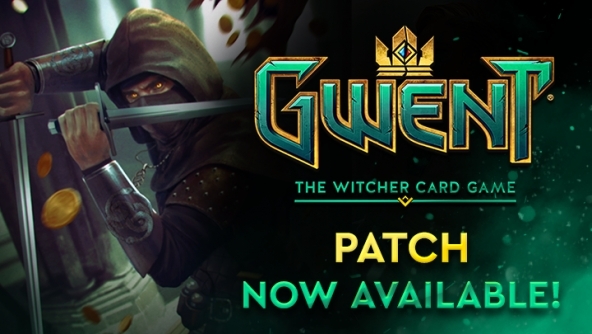 New update for GWENT: The Witcher Card Game is now available on PC, Xbox One and PS4. With this update we’ve focused on introducing balance changes, as well as adding numerous game fixes and tooltip improvements to the game. Additionally, we’ve launched a weekend discount on transmutation of Premium Cards – until Tuesday, February 13th, 12 PM CET you will be able to upgrade cards to their Premium version for half of their transmutation cost. We’ve also prepared a detailed overview describing all card changes introduced in this update and the reasoning behind it. If you are interested in the full patch notes, you can still find them below. Old ability: Boost 5 adjacent units by 4. Updated ability: Boost 5 adjacent units by 3. Commander’s Horn has been a staple card since the beginning of GWENT’s development and has been iterated upon multiple times. Before the update, the amount of power this card could generate was too high (much higher than other Silver cards could), making it too popular for a Neutral Silver. We decided to tone it down a bit. We believe that this change was crucial, especially considering the card can be played twice via Eithne’s ability. Old ability: Choose One: Resurrect a Bronze Beast or Svalblod unit and boost it by 2; or Heal an ally and Strengthen it by 3. Updated ability: Choose One: Resurrect a Bronze Beast or Cultist unit or Heal an ally and Strengthen it by 3. As an item, Bone Talisman can be easily tutored by Clan Protectors, and as such can generate a lot of power for a Bronze card. Prior to the update, this card could generate a solid 15 points with the following combo: Clan Protector (2) -> Talisman (+2) -> Bear (11) = 15 points Bronze. This is why the boost effect has been removed from Bone Talisman’s ability. Power changed from 9 to 8. Old ability: Resurrect a Bronze or Silver special card from your opponent's graveyard. Updated ability: Resurrect a Bronze or Silver special card from your opponent's graveyard, then banish it. Due to near always having a target in the form of Runestones and Commander’s Horn, Aglais is a popular addition to most Scoia'tael decks. When the number of possible targets was smaller, it made sense for her to be a 9 power card. However, after reevaluating Aglais now, we decided to adjust her power to 8, as well as make the card she resurrects become Banished, so it cannot be used with Eithne. Old ability: Force 2 units to Duel each other. Updated ability: Force 2 enemy units on the same row to Duel each other. At the moment, Iorveth: Meditation is a very powerful card considered a must-have in any Scoia'tael deck. We didn’t want to change the card’s ability because of how unique it is, but decided it should be limited to units on the same row. Having it this way adds more setup and counterplay possibilities to interactions involving this card. Power changed from 3 to 2. Slyzard is among the top 4 cards played not just in Consume, but across all Monster archetypes. This had us take a closer look at it and ultimately make the decision to decrease the card’s power by 1 point. Old ability: Spawn a Bronze Necrophage or Insectoid unit and boost it by 3. Updated ability: Spawn a Bronze Necrophage or Insectoid unit and boost it by 1. Monster Nest is a powerful card across all Monster deck archetypes and is considered strong even without the inclusion of the boost mechanic. To avoid it becoming too powerful, we decided to take the boost effect down to 1. Power changed from 2 to 1. Change: The card’s ability no longer guarantees a choice between 3 unique cards. Slave Drivers were one of the strongest Bronze cards in the game. The reason for this was the way this card’s ability worked. Even if an opponent was running multiple copies of the same card, upon playing Slave Driver you would be guaranteed a choice of 3 unique cards from the opponent’s starting deck. Following the update this is no longer be the case — if an opponent is running 3 copies of a specific Bronze card, Slave Driver can potentially present players with a choice between multiple copies of the same card. Old ability: Spawn a copy of the last Bronze or Silver unit placed on the board. Updated ability: Spawn a copy of the last Bronze or Silver, non-Agent unit placed on the board. The ability to spawn multiple copies of Silver card advantage spies is something that crept into the game with the Midwinter Update. With this change, we want to balance the card advantage playing a Silver spy unit can potentially give a player to a single copy. Power changed from 5 to 4. Shani has been the number one Northern Realms Gold. In fact, in some instances her ability and power actually provided too much value and for that reason we decided to decrease her power by 1 point. While it maybe not look like a huge change, we believe it’s one that will go a long way to balance out the card. Power changed from 4 to 3. In general, we want to tone down the power on a number of cards with the Create ability. Hym, one of the most popular Skellige cards with this particular ability, is among the cards we were looking into. As is the case with Shani, while 1 point may not initially seem like a huge deal in terms of numbers, we believe its current power-to-ability ratio will overall prove beneficial to the game’s meta. Old ability: Deal 3 damage to an enemy. If the unit was not destroyed, Strengthen self by 3. Updated ability: Deal 3 damage to an enemy. If the unit was not destroyed, Boost self by 3. The bread and butter of any dwarf deck, Dwarven Skirmishers needed to changed. They could previously be resurrected by Paulie Dahlberg for a huge power swing in Round 3. Following the update, Dwarven Skirmishers’ ability utilizes Boost instead of Strengthen, thus remaining a viable addition throughout dwarf decks, while becoming a more balanced entity within the meta. Old ability: Deal 1 damage to all enemies. If any were destroyed, Spawn a Lesser Guardian. Updated ability: Deal 1 damage to all enemy units. Double Tremors, courtesy of Ithlinne’s ability, can provide a really big power swing in and of itself. Adding Lesser Guardians to the mix made the card even more powerful. Looking into Tremors, we were considering a possible Ithlinne rework. However, given how much time it would take to plan and test her ability, we chose to shift focus to Tremors themselves. The end result is a change to the card’s ability, which now concentrates solely on damage dealing. A simple example would be having 12 units on you opponent's side. With the way Tremors were, an Ithlinne play would be worth 38 points (2 + 12 + 12 + 6 + 6). Following the update, this particular play is worth 26 (2 + 12 + 12). We’re aware it’s still more then some Gold cards, but we want to test this change before moving forward with a possible rework for Ithlinne. Dwarven Agitator was able to provide a huge tempo play when paired up with Dwarven Skirmishers and Mahakam Guards. We decided to reduce some of that tempo from dwarves by decreasing the Dwarven Agitator’s power by 1 point. Power changed from 9 to 4. Old ability: Boost an ally by 3. Updated ability: Boost an ally by 7. These guys are very powerful and a core addition within many strong dwarven builds. There was a possibility that following the change to Dwarven Skirmishers, Mahakam Guards would become too powerful and overused throughout the meta. Shifting some of the card’s own power into its boost ability balances it out. One of the most popular Scoia’tael Bronze cards. As was the case with Dwarven Agitators, we’ve decided to adjust this card’s power to balance the overall tempo certain Scoia’tael decks were able to generate. Change: Removed Organic from the card’s categories. Doppler was mainly used with access cards to create additional units. Removing Organic from the card’s categories decreases the amount of ways Doppler can be accessed. There were simply too many of these than intended, with some — like Herbalist (3 power plus an additional unit from Doppler) particularly — being too powerful. Old ability: If you have exactly 2 copies of each Bronze card in your starting deck, Strengthen self to 25. Updated ability: If you have exactly 2 copies of each Bronze card in your starting deck, Strengthen self to 22. Ciri: Nova has seen a lot of play since its inception into the game. She’s been a powerful finisher. One that could be easily countered with Geralt: Igni, which, based on stats, isn’t among cards being used the most. By bringing down the card’s power down to 22 points we’re making it slightly weaker when it comes to raw numbers, but still susceptible to Scorch. Change: Ability won't trigger twice if a unit is both cursed and wounded. We felt that this card’s ability triggering twice made it slightly too powerful, hence the adjustment to how it works. This change will not affect many decks (like those running Bears, which do not wound themselves). Change: Spawned copies are now Doomed. Originally, all unit copies were meant to be Doomed by design. Making Slave Infantry’s spawning mechanic work according to this principle keeps cards like Ointment from resurrecting Slave Infantry copies, as well as prevents the Graveyard from becoming overcrowded with copies. Change: Spawned copy is now Doomed. Just as with Slave Infantry, we chose to make all copies spawned by the Half-elf Hunter card Doomed, as was originally intended in the design for unit copies. This prevents extensive copy chains from occuring, as well as Graveyards becoming overcrowded with copies. Change: Unit resurrected via Restore is now Doomed. Restore and Sigrdrifa are currently played in every Skellige deck. This is not only unhealthy for the game and deck variety, but also indicates these cards were in fact too strong. Old ability: Choose One: Heal an ally and randomly split 5 boost between allies; or Resurrect a Bronze unit with 5 power or less. Updated ability: Resurrect a Bronze unit with 5 power or less. When changing this card, we were thinking about alchemy Nilfgaard. Making the ability a single-option one makes the card a bit less powerful, whereas previously it was an auto-include due to its boost. Another thing is versatility; giving two powerful options for a Bronze is too much in this case. Change: Reverted the category change from Soldier back to Support. The initial change was meant to be a buff to decks running Clan Veterans and Eist. However, on the PTR we saw that should the Soldier category remain on the Veterans, this archetype would instantly become overpowered. We could’ve done things differently, but we'd rather regroup on this particular change and come back to it in a future update. Mill has been a fun archetype for some, while the bad apple of GWENT for others. And right in the middle of it all — Avallac’h. We decided to add the Doomed tag to this particular card, so it can now only be used once and can’t be resurrected with Renew. That said, the engine for mill is still there, but you’ve got to time it well. Old ability: Deal 2 damage for each Spying enemy. Deal 2 damage whenever a Spying enemy appears. Updated ability: Damage an Enemy by 2. For every spying enemy that appeared during your turn, damage an enemy by 2 on turn end. Retroactive damaging was something that made Impera Enforcers too powerful. Previously, every spying unit which was already on the board would count towards the damage. Now Enforcers have to be deployed before spies. Old ability: Heal a Bronze or Silver unit, then boost it by the amount healed. Updated ability: Heal an ally, then boost it by the amount healed. Without wounded targets on our side of the board, Yoana was forcing players to heal enemies, which we consider an oversight. Additionally, restricting Yoana’s healing to Bronze and/or Silver units made her unable to interact with Olaf. Adjusting Yoana’s ability to include Gold cards made sense, since power-wise, the game already features many similar combos. Old ability: Duel a higher enemy. Updated ability: Duel an enemy. We feel that Arena Champion’s previous ability was limiting the card’s full potential and did not give him many options in terms of potential targets. The updated ability presents players with a more varied choice of targets when Arena Champion is played, ultimately making the card more versatile and a solid deck addition. Old ability: Charm a Bronze Spying enemy with 10 power or less. Updated ability: Force 2 adjacent enemies to duel each other. The cards old ability caused it to not see much play. Since the majority of players enjoy the Duel mechanic, we thought that changing Treason’s ability will add more flavor and versatility if it forced two units next to each other to battle it out. Old ability: Play a random Bronze or Silver item from your deck. Updated ability: Play a Bronze or Silver item from your deck. Pavko’s ability had limited usability and in general wasn’t as good as some of its counterparts in other factions — for example, Clan Protector in Skellige. To provide Pavko with a buff, we changed the way his ability works, allowing players to choose which Bronze or Silver item from their deck they would like to play. Old ability: Deal 5 damage to an enemy. If you are holding a Wild Hunt unit, deal 7 damage instead. Updated ability: Deal 6 damage and +1 damage for each Wild Hunt unit in hand. We really wanted to rework Nithral, not only because he’s a cool (pun intended) and really underappreciated character, but because his old ability made him an unpopular choice in decks. We want to test drive this ability for him and see how it influences his play rate. Change: Removed Doomed category from base unit. Only created copies are Doomed. Similarly to Slave Infantry and Half-elf Hunter, our initial design entailed that all spawned unit copies would automatically be Doomed. This change introduces that original design to the Kaedweni Revenant. At the same time, the base Kaedweni Revenant is no longer Doomed, opening the card up to many possible interaction (being resurrected by Sabrina’s Specter or getting shuffled back in the deck with Nenneke). When milled, the cards on the list will yield an amount of scraps and powder needed to craft a card of the same value during the 50% transmutation cost promo. Cards which previously used the phrase "wherever they are" now use "in hand, deck, and on board". Cards now use the term "toggle" to indicate that Lock, Spying, and Resilience statuses can be both added and removed. Players will be now able to abandon and reroll one of their Daily Quests! Celebrate the Chinese New Year with the Lunar New Year Bundle! Stammelford's Tremor will no longer Spawn a Lesser Guardian. Yennefer: Conjurer will now be able to deal damage to Immune units. Ciri: Dash will not be returned to the deck at the end of the round if it has Resilience. Incinerating Trap won't trigger Impera Brigades on the other side of the board. Added the Temeria category to Foltest's Pride. Vabjorn will now only target enemies. Mahakam Marauders will now also react to Strengthen and Weaken. Removed the Stubborn category from Operator and added the Single-Use ability. Fixed an issue with Farseer getting boosted after being unlocked. Fixed an issue whereby Doppler could Create non-Monster Units when using Arachas Queen as your Leader. Francesca Findabair's ability will now trigger Farseers on board. Removed the Doomed category from Summoning Circle. Fixed the issue whereby the unit destroyed by Vilgefortz could not be Resurrected with Ointment drawn by Vilgefortz. Fixed the issue with Vernon Roche using wrong VFX. Werewolf now has a counter of 1 and correctly refreshes when leaving the board. Lord of Undvik will now be played on the opponents's side of the board after being replayed with Decoy. Added Spying to Lord of Undvik. Letho of Gulet can now target Ambush units. Crushing Trap will no longer deal damage Ambush units. Odrin is now damaged by Hazards normally. Fixed the issue whereby Panther could target Immune units. Fixed the issue whereby Milaen could deal damage Ambush units. Fixed the issue whereby the cursor highlight would remain in the graveyard. Fixed the issue whereby Daily Quests were not cleared properly. Fixed the issue whereby Panther could target Ambush units. Fixed the issue whereby Nivellen could move Ambush units. Fixed the issue whereby round pass input carried over to the next round, leading to an auto-pass. Fixed the issue whereby viewing Dagon's preview prevented players' further actions. Fixed the issue whereby there was missing art for Ambush cards in the match history. Fixed an issue concerning muting opponent's taunts. Fixed the issue whereby pass input was not lost when dragging the cursor outside of the coin. Fixed the issue whereby Aguara caused an error after making only one choice. Fixed some issues with Hjalmar an Craite's power not being updated properly after boosts from Lord of Undvik. Fixed the issue with Wilmar's Spying status. Fixed the issue whereby Werewolf was not boosted by Full Moon after being Resurrected from the opponent's graveyard with Caretaker. Fixed the issue whereby Damned Sorceress's ability did not trigger after being played as the ninth unit on the row. Fixed the issue whereby Ciri: Nova's power did not display properly. Fixed the issue whereby Incinerating Trap was not cleared from the board after triggering on an empty row. Fixed the issue whereby cards in other players' profiles did not display properly if you do not own them. Fixed the issue whereby cursor could stick on the first card in player's hand after Isengrim: Outlaw's choice window opened. Fixed the issue whereby input could be lost when accepting a Friend Match invite while opening a keg. Fixed the issue whereby a unit would not be scorched by Villentretenmerth if it was simultaneously moved by Miruna. Fixed the issue whereby Commander's Horn would include the empty space of a unit destroyed by Vilgefortz in its count of 5 units. Fixed the issue whereby forfeited games did not count toward Daily Quest completion. Fixed the issue whereby Emhyr var Emreis' return card ability would be canceled when playing a unit with a targeting ability and clicking the right mouse button. Fixed the issue whereby Blood Moon would deal damage twice to units that Resurrect upon being destroyed/discarded. Fixed the issue whereby Barbegazi would not gain Resilience. Fixed the issue whereby game sounds would be triggered by using the mouse after alt-tabbing out of the game window. Fixed the issue whereby the Skellige emblem would always appear in deck selection after saving any deck. Fixed the issue whereby Impera Enforcers' ability would not trigger after following certain steps. Just played a game in ranked. Thought I:M was supposed to be nerfed with the patch to only affect two units on the same row? Umm.. didn't happen. Omg bearmaster not changed to suport, veterans destroyed, halfelf not nerfed, cdpr dont listen feedback. I thought half-elf spawned copy was supposed to be changed to "doomed"? Did the things they said they were going to change (via reddit or whatnot) just not get changed, at the last second? I actually am against them making that change. I don't think anyone will use it if they make it effect one row. Now that the big bad dwarf deck has been nerfed I really don't think that card will be a problem. Great Patch notes. Very much appreciate the detail on why things were changed. Uuuuuugh... hated these Beastmasters braindead spam since when they showed the card. The fact that they do not bother to fix them just makes me vomit in my mouth every time. Haha, that's something I found out the hard way. Never used her again after that. Took a while to read through all the notes, but the details are greatly appreciated. Thank you! Awesome patch notes. Thank you! Coud You please revert the changes to BORDERS awarded after each season concludes? Or at least make new ones with new rules. Personally I grinded each season to get the top borders and now they will be distributed almost for free? It should not work backwards. I understand you want to let new players get some new awesome trinkets but please, at least leave those that grinded for them alone. Make new ones for new seasons and leave the old ones alone - otherwise the borders will be worth nothing and there will be basically nothing to grind in this game anymore. And it will be unfair for those who try-harded to get them before.